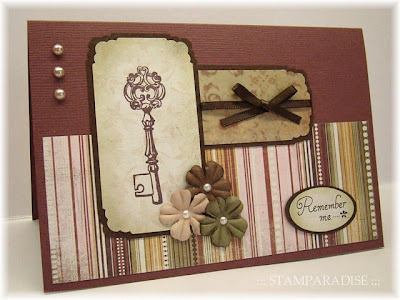 I made this card for Mojo Monday #84.I've used pink and green(yellow green) combination again as I said at last post.I added red colour because this beautiful paper inspired me. 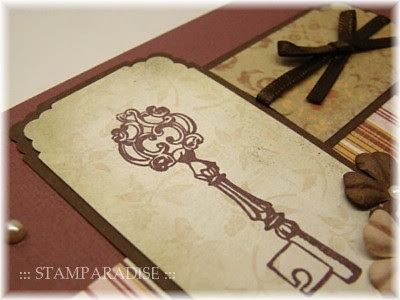 Dotted swirls were doodled by myself.To draw perfect swirls was tough for me....I should carve some new swirl stamps. It will be FINE DAY tomorrow. 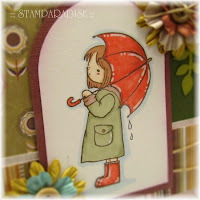 I combined the fab sketch Bev provided for the Stamp With Fun with this weeks Stamp Something Challenge("Something with Showers or Flowers") to make this card. 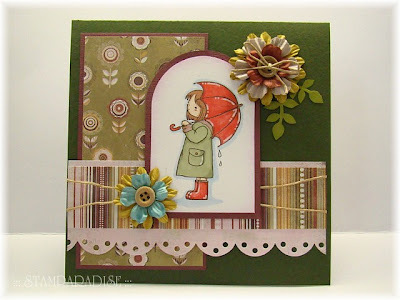 When I finished this card,I realized that the green and pink combination looks so pretty! 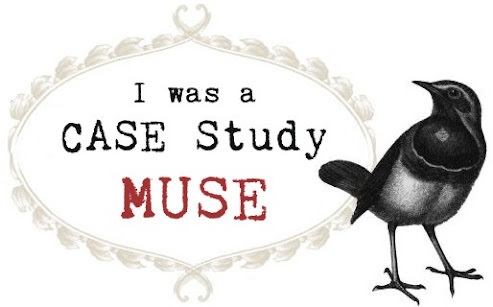 (I didn't know that.lol) I'll use this combination again. 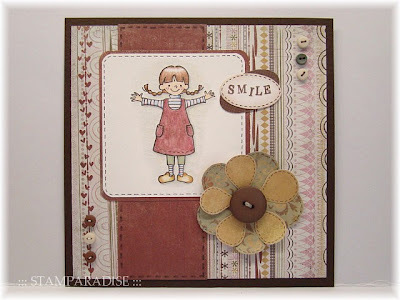 I made this small card(10cm×10cm) last night.I followed the sketch on Charisma Cards Challenge #16.I let this card join in this weeks Creative Card Crew as their theme is "to use circles". Thanks for looking! Have a nice weekend! 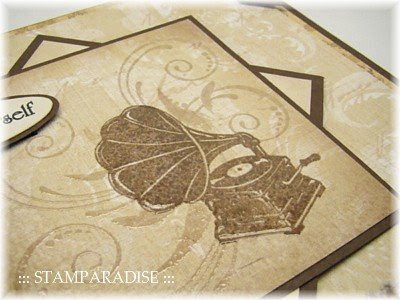 Hello everyone!I'm so busy this week that I can't have enough time to make a card....But I managed to carve this new stamp last night. 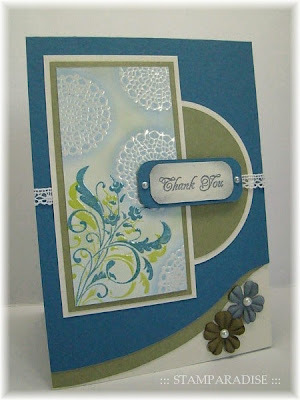 I based this card on the sketch Marlene provided for this weeks Stamp with fun.I truly enjoyed colouring the image! 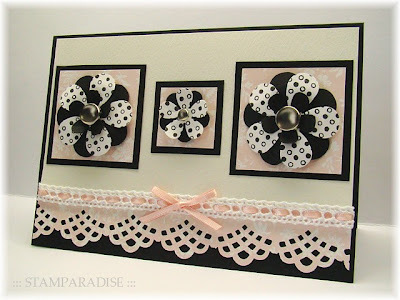 This card is for Colour Create #12.This weeks theme is "Black,White and Pink" with extra option is "to add some sort of Polka Dot design to your creations".It's so elegant and cute combo,isn't it? 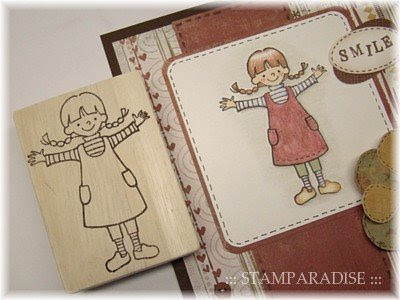 There is no polka dot paper in my stash.But I have 2 polka dot stamps! 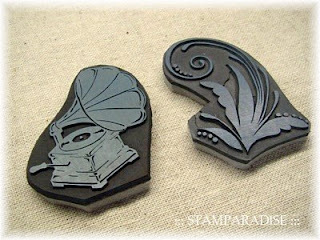 (Of course they had been carved by myself. 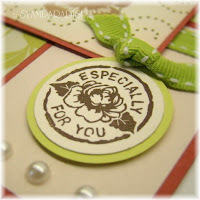 )I stamped polka dots on white paper with real black ink and cut it out with retro flower punch. 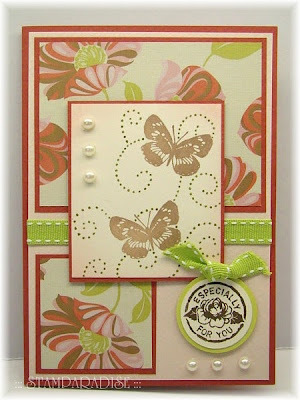 There are my polka dot stamps.I've used left one on today's card. 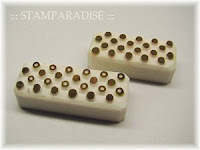 I was asked about selling my hand carved stamps. 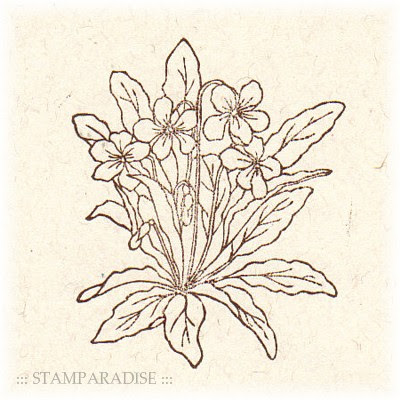 I'm consigning my stamps for sale to 2 shops in Japan.But so sorry, I will not sell my stamps directly to foreign customers.Because I don't have a foreign currency account and I'm not good at English.I'm afraid of that my poor English might cause some troubles. I hope you understand my decision. 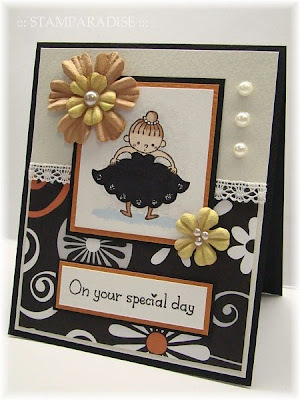 I made this birthday card for Charisma Cardz#15,their theme is "Little Black Dress".It seems to me that the little girl has put on a black dress for the first time in her life.She is too young to be called "Lady".But I wish she grows up to be an elegant lady who suits a black dress. 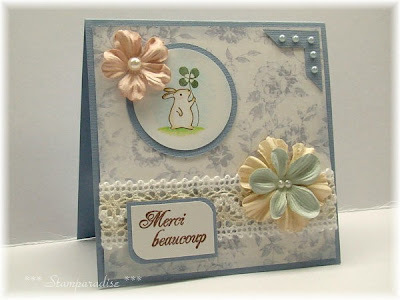 Thanks for looking!Have a nice Sunday! 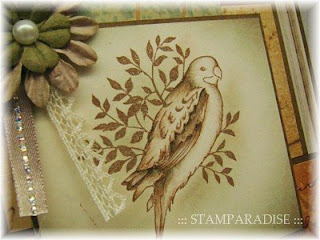 These are the stamps I used on this card. I have an unbelievable news today....And...I'm very excited! 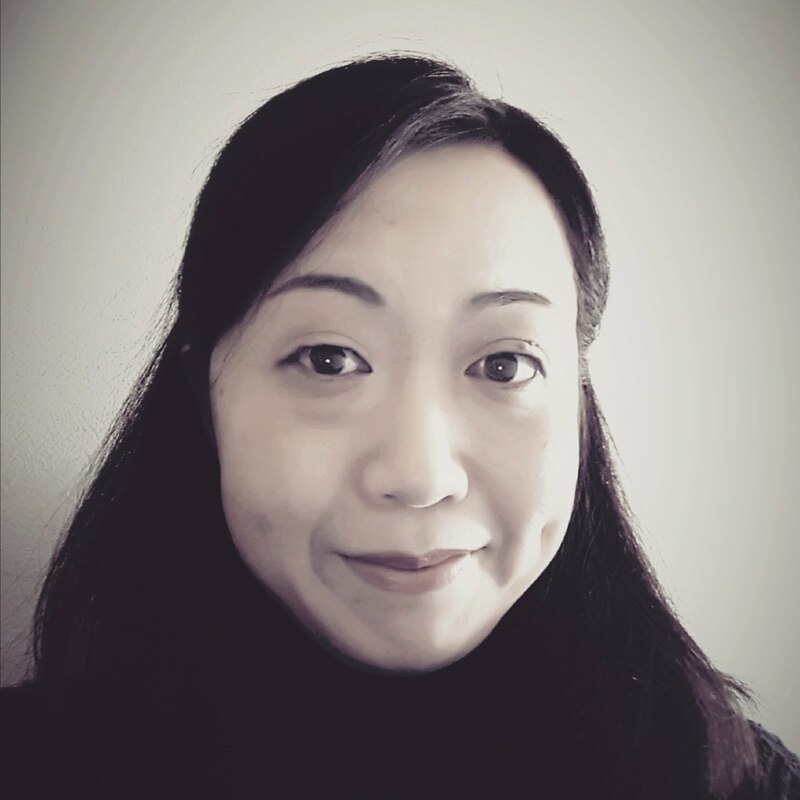 This blog has been featured on Inspirational!!! 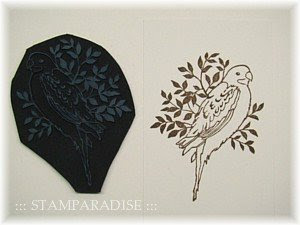 I've been carving rubber stamps for about 4 years.Today is the most wonderful day for me in these 4 years! 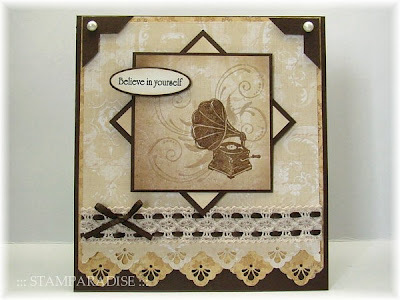 I made this card for this weeks Our Creative Corner challenge using the sketch Silke provided. 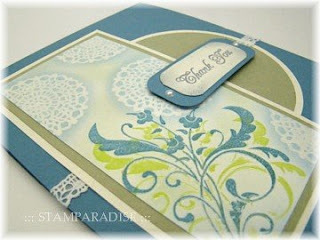 I stamped lace-doily images by Versa Mark ink,and heat embossed them with clear embossing powder.And then,I sponged Cerulian Blue ink over the doily images.I love this technique and often use it. 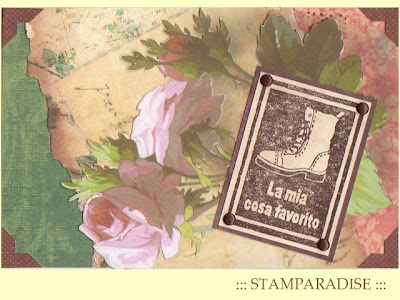 I made this postcard for this weeks Wednesday Stamper.The theme is "Bella Itaria(beautiful Italy)".The shape of Italy looks like boots.That is why this stamp was chosen.I picked the background colours from Italian national flag(Tricolore italiano). PTW challenge with my new stamp. 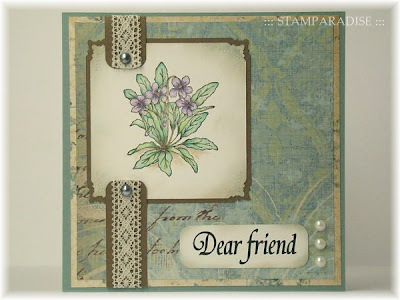 As I said yesterday,I made the card with my new violets stamp.I based this card on the sketch that Paper Take Weekly Challenge blog provided(Dawnys sketch#12). I think the text was too big... 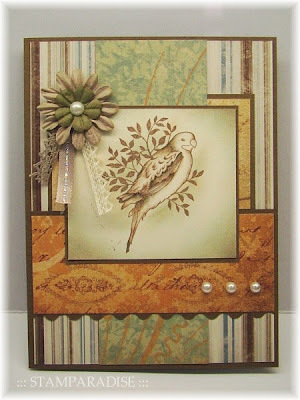 I sponged Oasis Green and Cafe au lait inks around the main panel.This combination is my favorite! 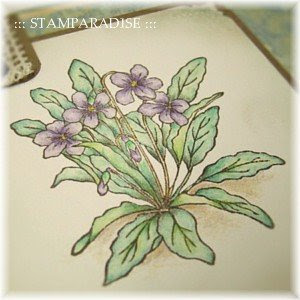 Hi,everyone!I carved new violets stamp last night.This season,a lot of violets are in bloom in my garden.It took about 3hours to carve this stamp...,but I love it!Tonight,I'll make a new card with this stamp ! 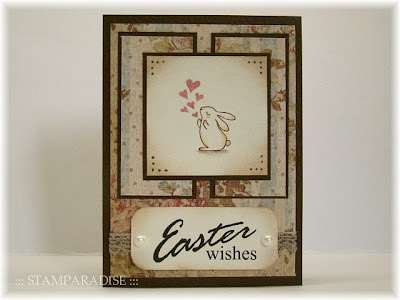 Today I made 2 small cards for 2 challenges,Stamp Something & Our Creative Corner.Their this week's theme is "Easter". 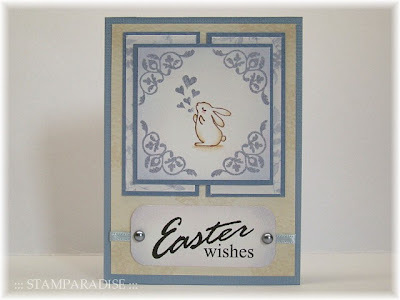 There is no custom that celebrate Easter in Japan.But fabulous DT cards have made me happy and exciting!So, I decided to make some Easter cards. 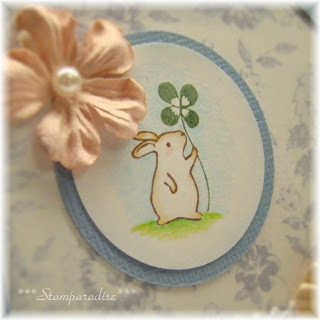 The rabbit stamp was carved by myself for St.Valentine's day card.But I think that it also fits for Easter card.The size of each card is 10cm×7.4cm(approximately 3.9"×2.9"). I colored the girl's skin and wear by NEOPIKO MARKER2.This is a marker similer to Copic marker and is less expensive than Copic.